Accordingly, Train No. 02731 Hyderabad-Jaipur special train will start from 16:25 hrs on 1st, 8th, 15th, 22nd & 29th December, 2017 (Friday) and will arrive Jaipur at 06:25 hrs on Sunday. In the return direction, Train No. 02732 Jaipur-Hyderabad special train will start from 14:35 hrs on 3rd, 10th, 17th, 24th & 31stDecember, 2017 (Sunday) and will arrive Hyderabad at 01:10 hrs on Tuesday. 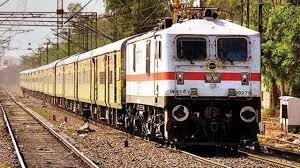 Route: These winter special trains will stop at Secunderabad, Medchal, Kamareddy, Nizamabad, Dharmabad, Mudkhed, Nanded, Purna, Basmat, Hingoli, Washim, Akola, Malkpur, Burhanpur, Khandwa, Itarsi, Bhopal, Ujjain, Nagada, Ratlam, Mandsore, Nimach, Chittorgarh, Chanderai, Bhilwara, Bijayanagar, Ajmer, Madar, Kishangarh and Phulera stations.